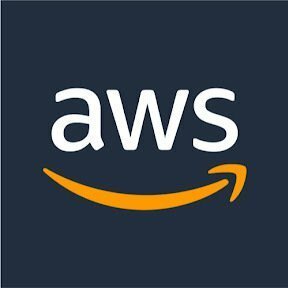 Work for AWS Key Management Service (KMS)? Learning about AWS Key Management Service (KMS)? Ease of use. There can be a lot of overhead to managing secrets. You need to make them available for people and processes that should have access, while restricting access for nearly everyone else. There are lots of options out there for how to do this, but the fact that KMS is already bolted into so many of Amazon's service offerings, and the fact that they support KMS client SDKs for every relevant programming language, plus command line tools makes enterprise level encryption available to any project or organization already using AWS. Certain Client SDKs are painful to use. Having played with python and nodejs SDKs, i've found that example code is hard to find and I've not had great success with these SDKs. AWS Service integration, CLI usage, .NET and JAVA are all seamless which is why I reference ease of use as my favorite aspect of KMS. If you are already deploying within an AWS cloud environment, KMS is an easy way to handle encryption across your infrastructure and your operations users. "It's a really easy way to centrally manage your keys"
The key rotation does not need to decrypt and re-encrypt the data that was encrypted by the key. Old keys are still available to decrypt the data and the newly encrypted data will use new keys. It has automatic key rotation that is essential for compliance purposes. It does not require configuration to start. KMS gives an easy rotation but you do not have much control. AWS will rotate it for you according to your own schedule annually. You can not force it. In addition, if you import your own keys, you must manage this key rotation on your own, which overrides the nice rotation service provided by AWS and, you must decrypt and re-encrypt the data encrypted with those keys. So keep this in mind if you are thinking about using your own keys. If you are looking for a more robust solution that can store asymmetric keys or require a Hardware Security Module, KMS may not be for you. You will have to make your own decisions about whether KMS makes sense for your organization. WS KMS is a really easy way to centrally manage my keys, it helps me protect the data I store. "Pretty and Easy to Use"
We have a policy where Bring Your Own Key is required for confidential data in the cloud and AWS has streamlined the process for us. When we import an encryption key for usage in another account that other account is not able to reference our key by key alias natively. It should be easy enough for AWS to add the ability to reference an encryption key by key alias across accounts. The cloud space is constantly growing and we have found that the documentation does not always keep up with how quickly everything else progresses. If you see AWS documentation stating something is not possible, please make sure you submit a ticket to AWS first as we have found that a feature may be available, but they did not have time to update the support materials. This give us the ability to migrate data and applications to the cloud, but still protect that data with a key that we own and manage. "KMS - Simple, secure and powerful"
The ability to securely store keys and use them for encrypting apps and storage is unarguably the best feature of the AWS KMS. Within the AWS ecosystem the integration and interoperability is remarkable. Nothing that I can think of, the service is really straight forward and easy to use. One of the biggest: providing enterprise grade security to the clients without going through any hassle. Allows the businesses to focus on their core offerings. Easy way to store your key pairs for use on EC2, Lambda, and a large amount of other assorted AWS services for almost no charge. Keeping track of keys on premise is dangerous and risky, beacuse it gives another system that you need to protect in order for your infrastructure to remain safe. through KMS, you can store all the keys that you need in AWS itself and therefore extend your security blanket to your keys as well. Not much. The UI and AWS console is not very intuitive and can be confusing at times. I would really like to see a redesign of the UI from AWS as it is needlessly complicated and incredibly slow for a select number of operations. Definitely switch to it if you want to have your teams manage their own keys and do it easily. If however you want to have them manage keys that are on your own premise, it is better to keep them out of KMS and just manage them yourselves to prevent another possible point of access by unauthorized users to your important keys. Solving security problems. It is a lot easier to manage security when your keys are all contained under the AWS shared responsibility model with all your other infrastructure. it also means that teams are more willing to increase security because managing keys is so much easier and less of a hassle.
" the most useful service of Amazon"
I love the fact that we keep all of our keys in one place, and they're easily reachable via most of our internasl systems on an encrypted level. I dislike the pricing schema for it. Chargina on a per key model is simple, but illogical for larger companies to use. We have thousands of keys that we'd like to live inside of the system, but it's too expensive to justify. definirely pay attention to the pricing, and take the extra time to build in automation to work with KMS effectively. cert store, api key store, etc. "Easy Service To Maintain Security"
AWS KMS has very clear use cases and walks you through exactly what needs to be done to set up keys. After it's been set up, you can assign keys to different applications through a few clicks, and ensures that your applications are always secure the way you want them. Once you generate keys, you cannot download them after the initial download process. Although I dislike it, from a security perspective it makes sense. I'm solving the problem of securing my applications. AWS KMS allows me to limit access (mainly SSH access) to certain individuals or certain systems. "Great For Keeping Application Safe"
"helps in different key management system"
I was able to create two kms with same name. had to delete one of those before i could proceed with using the right one. I don't like that root is preprovisioned in the kms key policy. I understand why but I feel like enabling iam access is something that should be done explicitly by the admin and not a default. When you need a good private key to secure your data, you've got it! A little hard to use at first. But in the end I figured it out. "Efficient key management service for public cloud (AWS)"
KMS was implemented for a customer solution for a proof of concept utilizing tokenization. "Generally easy and hopefully secure!" Easy to create keys and rotate as per regulatory security needs. Fast to pick up and easy to use with other software. Sometimes too secure: a key is only available for download for a very brief period of time. Would recommend if you have complex security needs. General software security, particularly regarding access for customers and certain members of my company. "Secure Your Secrets with Ease"
Use your IAM roles to manage your secrets and limit the blast radius. Works great to manage configuration securely. Needs reporting of assets, ie certificates with private key, that would be better managed in ACM. Avoids custom secret protection / encryption that may not scale easily. KMS scales easily with company specific run books. Love that Amazon KMS is fully managed by the AWS team and helps free up my time and my team's time by owning/maintaining the underlying infrastructure. Not many complaints or issues so far. Been pretty happy with it. It's very cheap, it's owned by AWS, and gives me back more time in my day. The best way to protect data and store and manage keys. It helps us meet regulatory and compliance needs. Want to have a centralized management for keys this is the way to go. There is no major issue that I do not like about this. simple easy and secure services to use, sdk is simple usefull and robust. "We have used it for replacing old technology of Safenet"
The best part of this product is that it is hosted in AWS. It is sometimes difficult for new comers to learn this tool.Not easy to learn for beginners. The hosting is the best benifit along with hight availability. "Encryption at rest using KMS"
* We monitor all AWS Key Management Service (KMS) reviews to prevent fraudulent reviews and keep review quality high. We do not post reviews by company employees or direct competitors. Validated reviews require the user to submit a screenshot of the product containing their user ID, in order to verify a user is an actual user of the product. Hi there! Are you looking to implement a solution like AWS Key Management Service (KMS)?